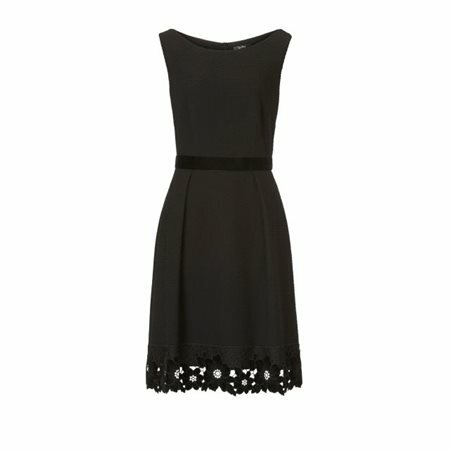 Vera Mont has reworked the classic Little Black Dress with this stunning creation. This textured dress has been tailored from a gorgeous fabric featuring an all-over texture with beautiful lace detailing along the hemline. The lace has a velvet finish that is complimented by the velvet waist band. This sleeveless dress closes at the back with a concealed zip and is fully lined. We are confident that this dress will be popular choice as we move into the party season, it is elegant, graceful and highly recommended by our instore stylists.